Rebecca is a thought leader in the field of ‘human consciousness’. Through her work and writing she explores how our level of consciousness affects our personal happiness and success in life, as well as how we co-create our working environments and societies. Along with her private client work, she has also specialised in the field of leadership, team and organisational development. She has been working with leaders globally across public and private sectors since 2004. Rebecca is the author of ‘Creating High Performing Teams’ and ‘Conscious Leadership – And the Power of Energetic Fields’. In addition to this has produced many other written guides in her area of expertise. She is a public speaker in the areas of Leadership, Cultural Change and Personal Development and is happy to be approached for speaking events. 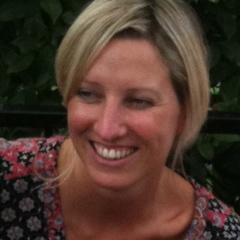 Rebecca is the founder of Brompton Associates, www.bromptonassociates.com which represents her corporate work and Clear Mind, www.clearmindyogaretreats.com which represents her private, yoga & coaching retreat work. A visiting Professor for London Metropolitan University, she enjoys sharing her knowledge from professional development as well as academic perspectives.